Thank you, Corel Draw for this purple and green background. 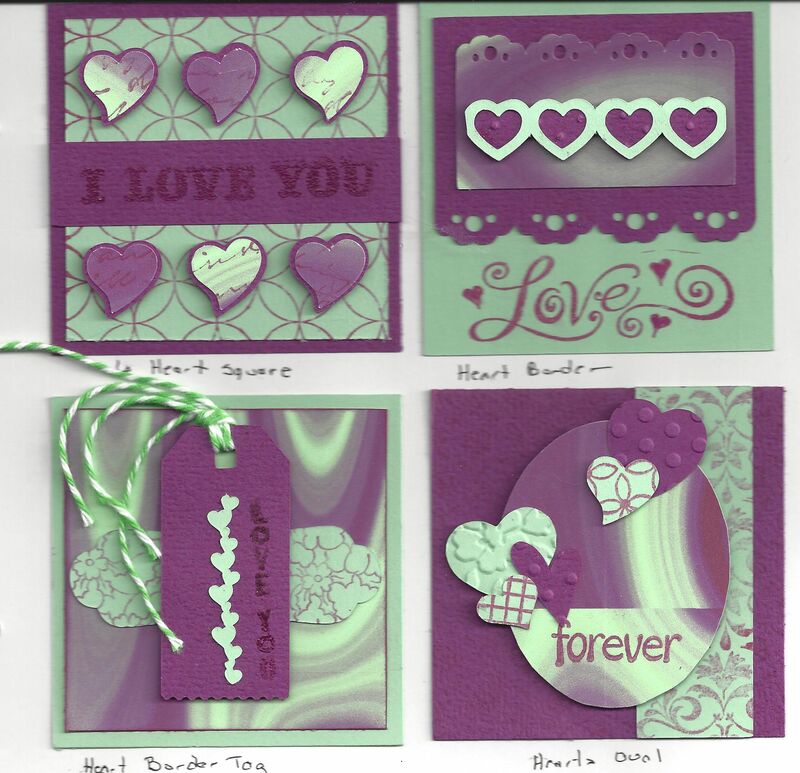 I just happened to have the right green and purple card stock to match it. 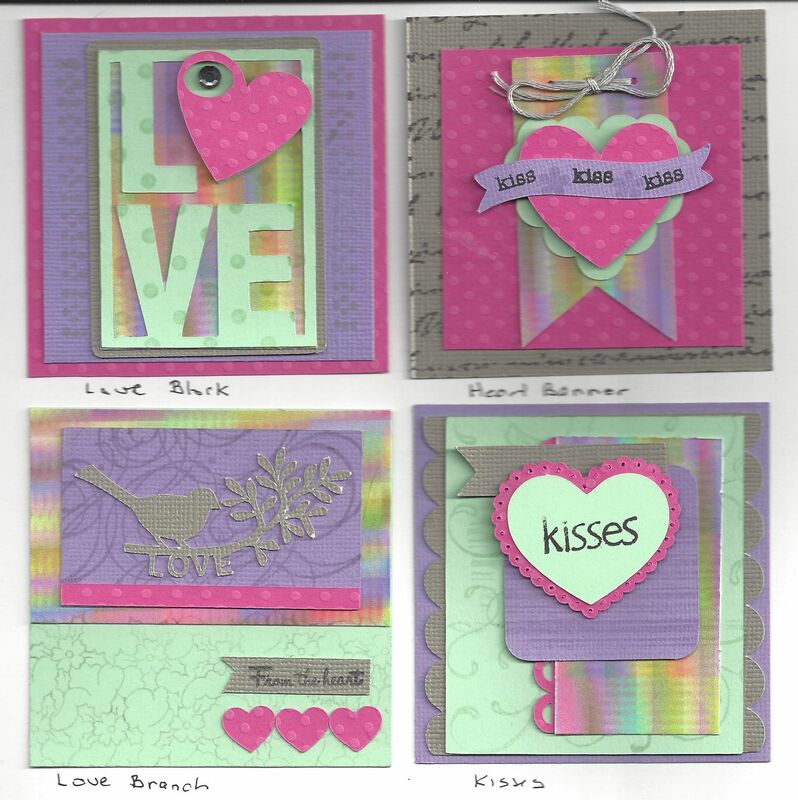 Lots of stamping and lots of cutting files used. 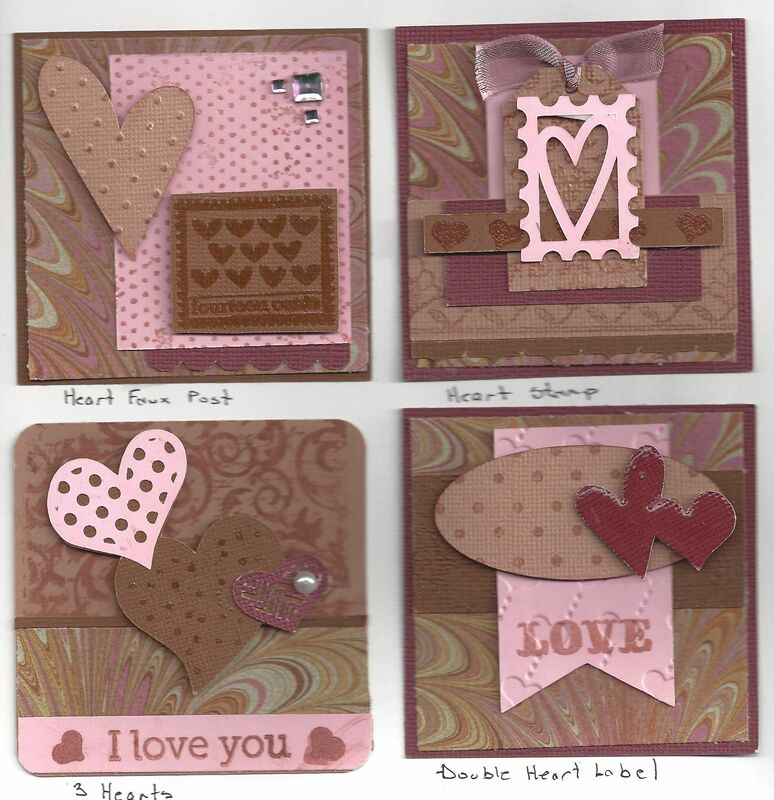 I love all of the fun little die cuts and stamps on these 4 cards. The colors of the marbled paper caused me to use colors I don’t usually go for but I liked the result. This background was another Corel Draw fill. I loved all of the colors and the muted way they were presented. That’s it for now. Next time- 4 more sets and I’ll be done with the tiny cards!